We do not think our words have value. We do not share our new ideas as loudly as we should, instead whispering them in the hopes that someone hears us. We do not want others to think we know better. We tread lightly so that others can see we know our place. We beat ourselves up before others can, that way we are ready for the disappointment. Yet we tell our children that their words matter. That their voice should be heard around the world. That they should speak up, stand proud and stand tall behind the ideas they share. That their worth starts within them, not based on the opinions of others. We tell our children that they can make a difference if only they speak up. If only they dream. If only they try. Yet our own actions do not fly so boldly. Instead we cower within the box we have placed ourselves in, even though the world needs our voices as well. We forget that we have worth. That our words are worthy of an audience. That the ideas we carry within may help others as they have helped us. That although we may be unsure, we will not find greatness if we do not try. Our words have power. Our words have strength. Our words may take on a life of their own if only we release them. 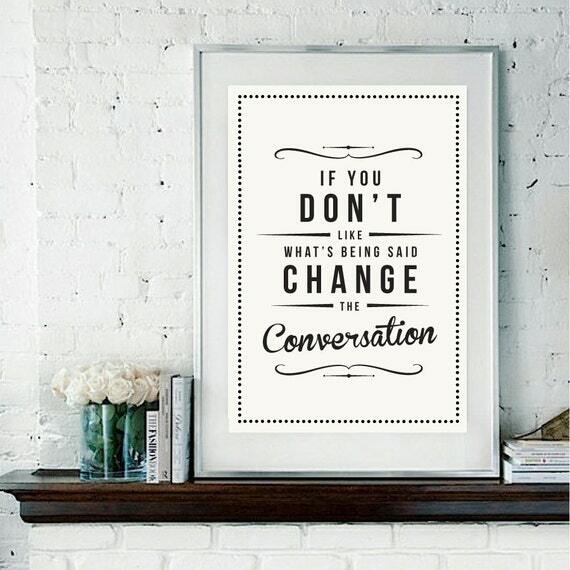 We all belong in the conversation, join in. I am a passionate teacher in Wisconsin, USA, who has taught 4, 5th, and 7th grade. Proud techy geek, and mass consumer of incredible books. Creator of the Global Read Aloud Project, Co-founder of EdCamp MadWI, and believer in all children. I have no awards or accolades except for the lightbulbs that go off in my students’ heads every day. First book “Passionate Learners – Giving Our Classrooms Back to Our Students” can be purchased now from Powerful Learning Press. Second book“Empowered Schools, Empowered Students – Creating Connected and Invested Learners” is out now from Corwin Press. Follow me on Twitter @PernilleRipp. Next postHow Many Readers Have I Hurt? It’s not worth trying where I work. When the modules came out, I asked if I could expand units I had started. The one admin who believed in me said go for it. Then word got out and admins were walking through my room to make sure I was teaching the modules. I put all my creations away then switched grades for this year. No one listens, no one wants to hear a new idea–we are to just follow the curriculum we’re given. In my new area a teacher’s advice was to not talk about anything fun I’m doing, to not say I love my schedule and to not send my Friday letter to the principal. Just plain sad. It’s going to be a very long 6 years until I can retire. Pension–so I’m stuck. When I read this I though of a post I wrote for the #kinderblog challenge this summer. Self doubt about my voice I wrote http://faigemeller.wordpress.com/2014/07/07/kinderblog14-week-1-the-headlines/ Agree if we say we want our students to have a voice, we need to share ours. Very Inspirational; I have to remember that i have worth that i can share with others.